Like most other dye plants pokeberry has many other uses. Pokeberry ink was used to write the Declaration of Independenc. 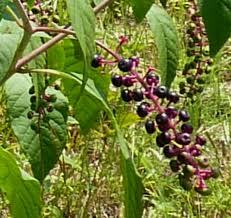 Native Americans used pokeberry to color cloth and basket-weaving material. So many of the dye plants we utilize have healing and medicinal properties. Another important consideration when choosing how you want to dye your natural fibers. Pokeberry makes the most beautiful scarlet/fuchsia colors or if dye pot gets too hot a really interesting taupe/gold color that looks great paired with silver/gray alpaca fiber. This entry was posted in Naturally Dyed Yarns and Products, Uncategorized and tagged alpaca, Alpaca fiber, alpacas, Dye, farm, farming, fiber, fiber art, fiber arts, hand spun, knit, knit knitting, Livestock, Maine, natural, Natural dye, Natural fiber, organic, plant dyes, spin, Textiles and Nonwovens, wool, yarn. Bookmark the permalink. It’s always interesting to read about dyestuff from other countries and environments, and I have often (idly) wondered what a pokeberry looks like! Normally, our UK berries, such as elderflower, blackberry etc, give a great initial colour and then fade aggressively. 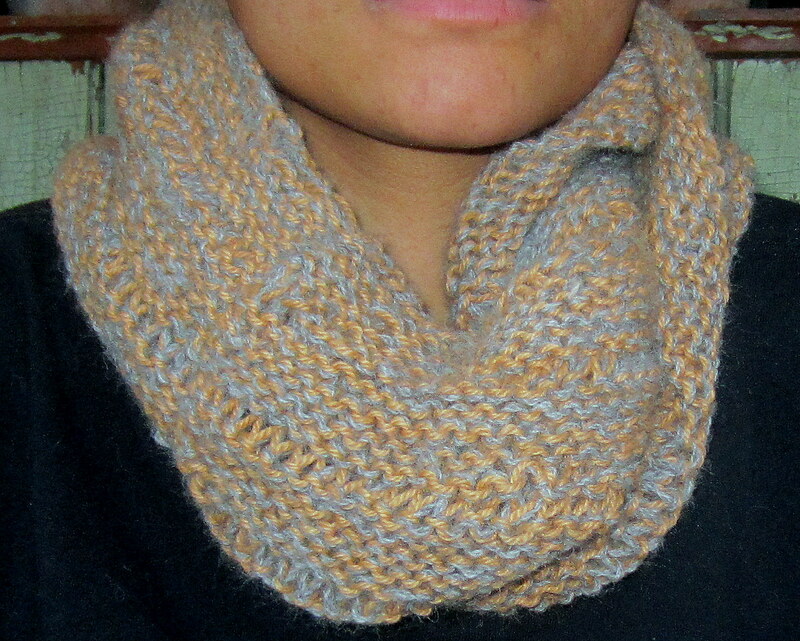 Are both colours in the knitted collar derived from pokeberry? No, just the taupe. The gray is natural alpaca. Usually I get beautiful crimson colors with pokeberry but if you let it get to hot…. I did actually quite like the color. You are right, most berries are not colorfast. I use elderberries for purples and have found that they hold their color. With pokeberry I use vinegar to mordant the wool and also add quite a bit more when I am dying.